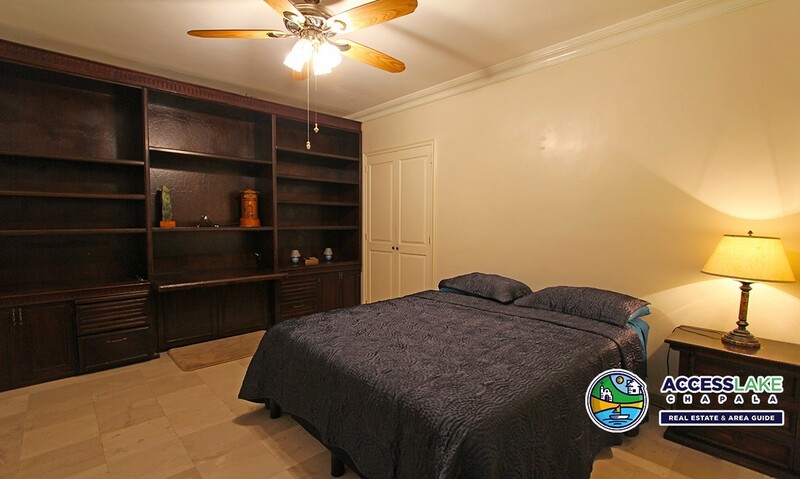 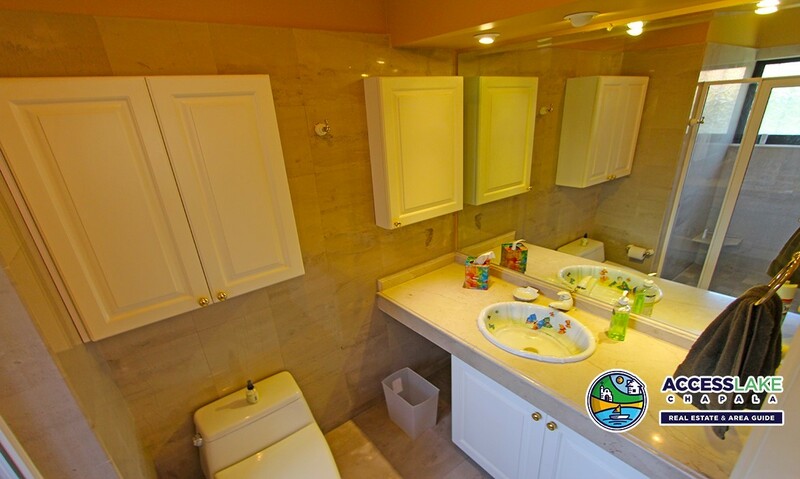 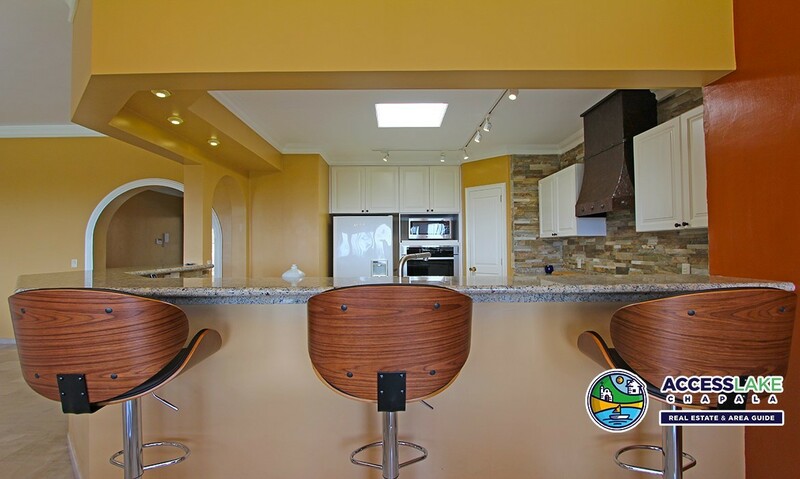 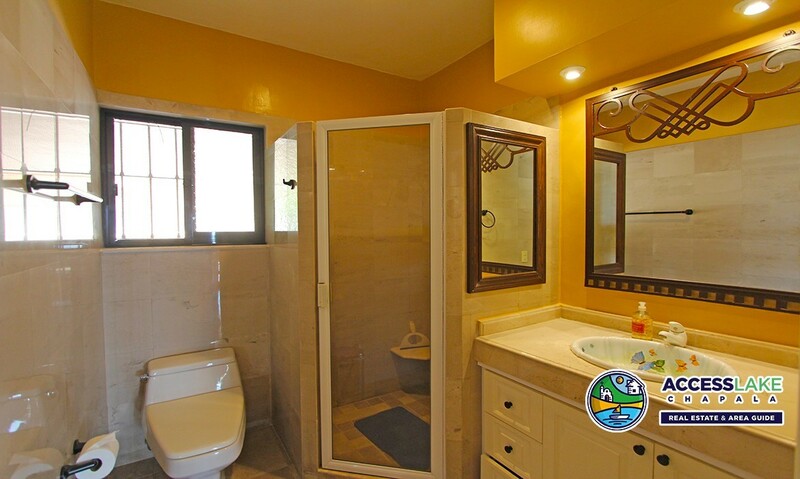 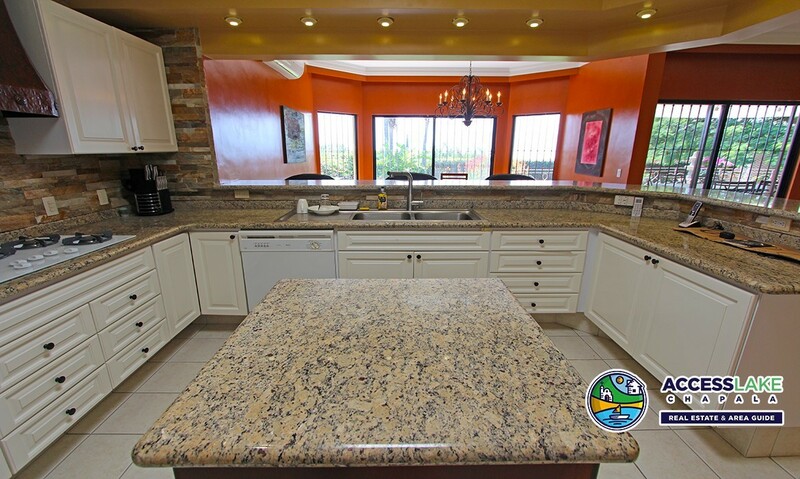 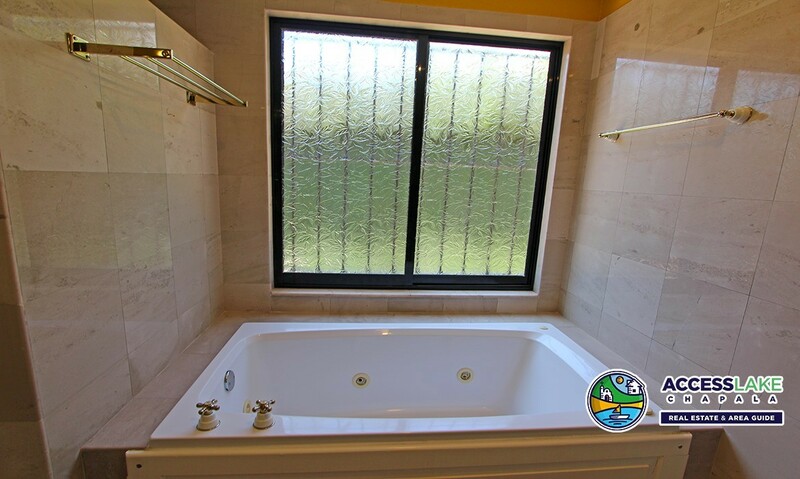 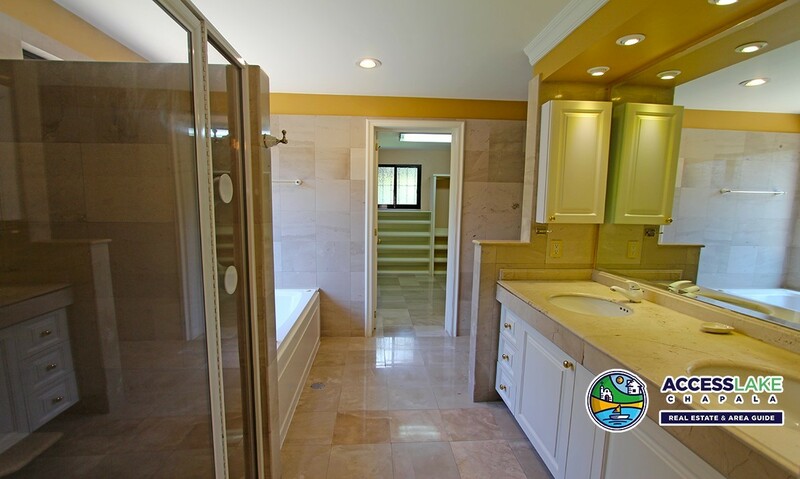 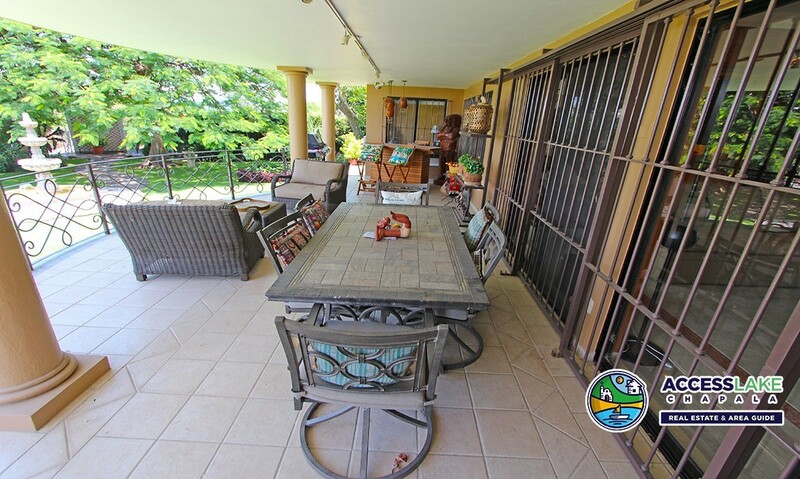 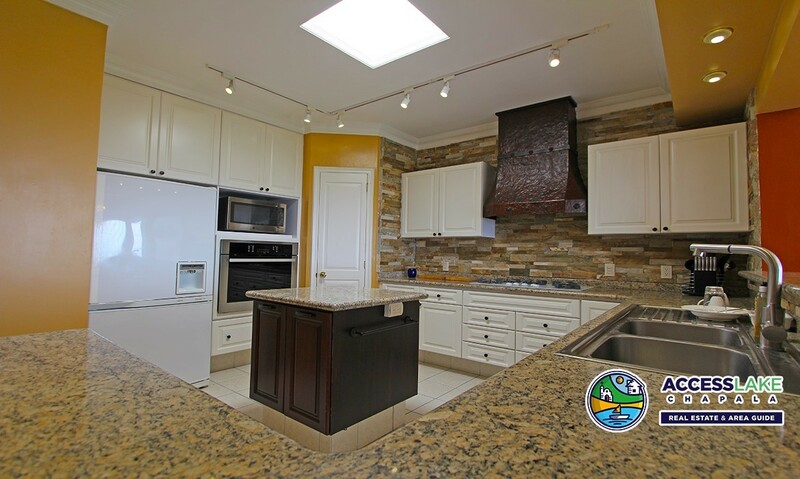 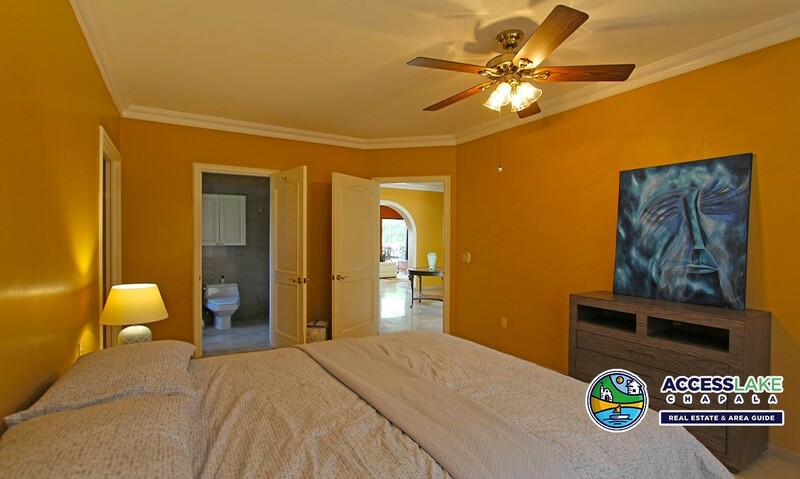 two additional bedrooms (one currently used as an office) and adjoining bathrooms, a cozy TV room, open floor plan entry hall with cupola, granite countertop kitchen, dining and living area with high boveda ceilings, also air-conditioned. 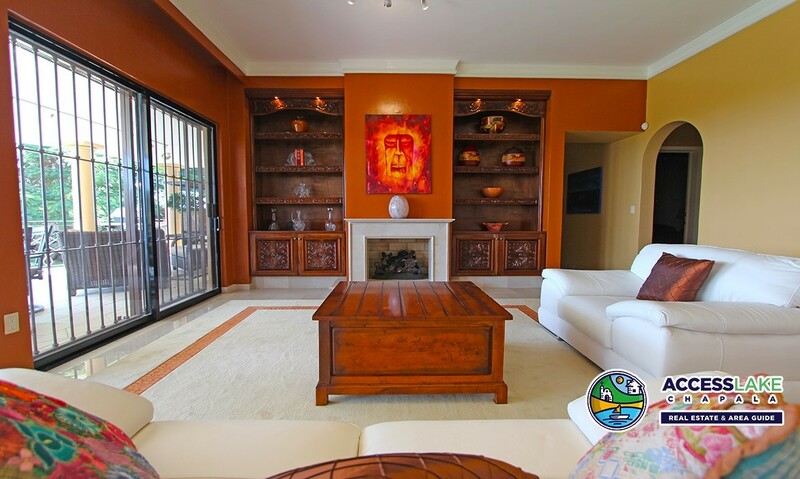 A gas fireplace flanked by hand-carved, built-in bookcases is one of the focal points of this generous space. 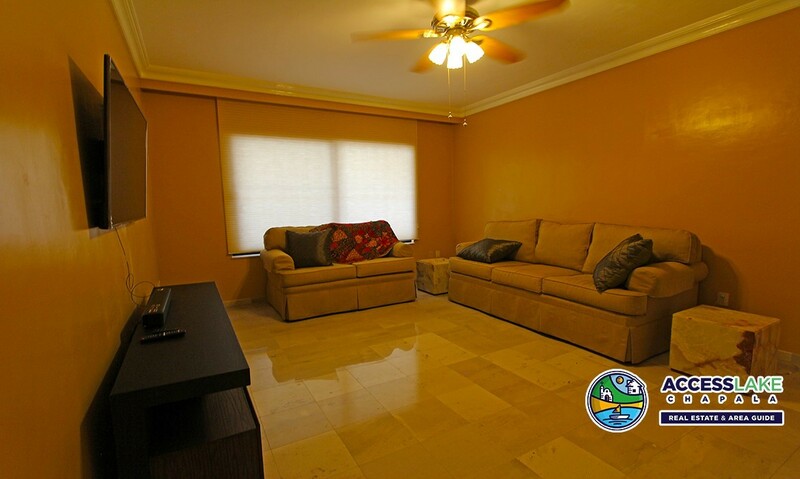 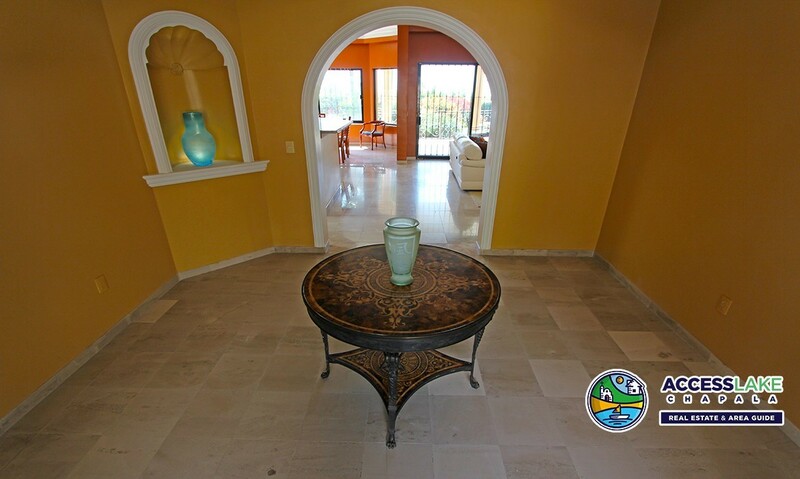 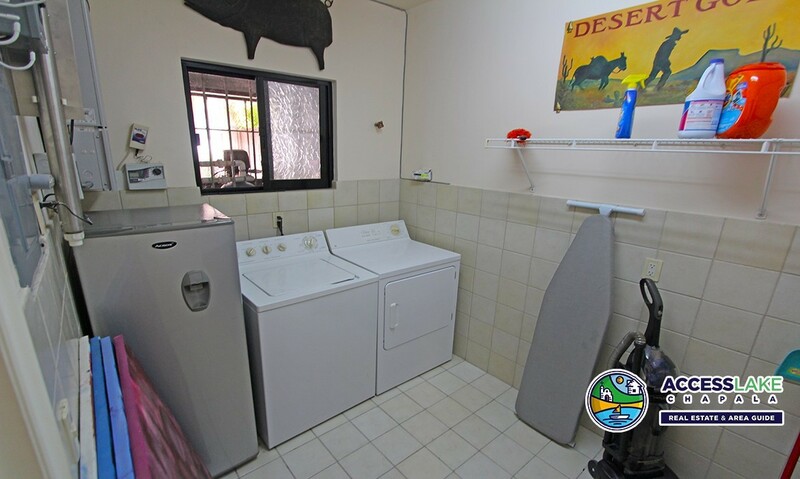 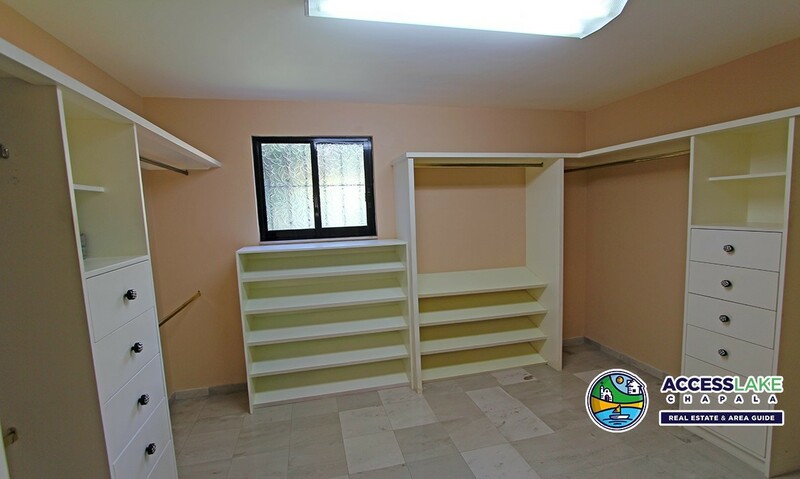 Barrier-free marble floors throughout make this an easy living home. 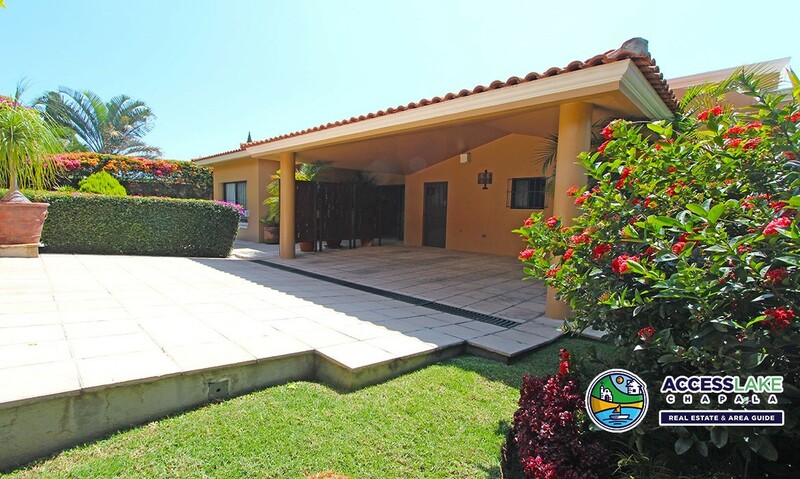 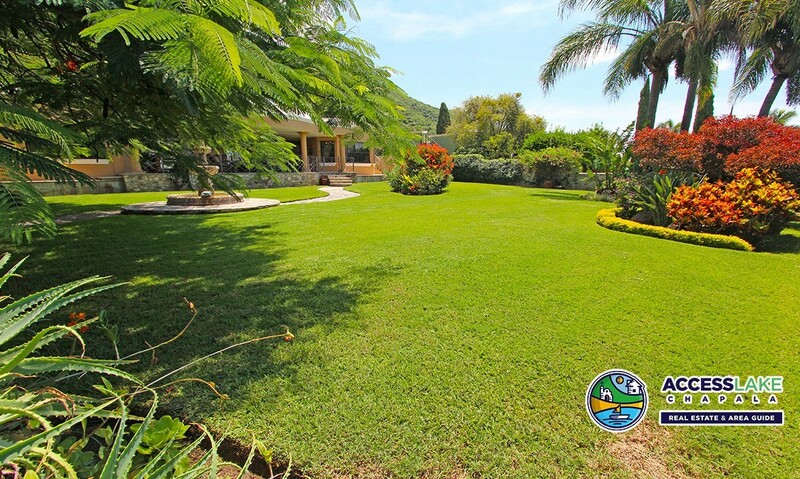 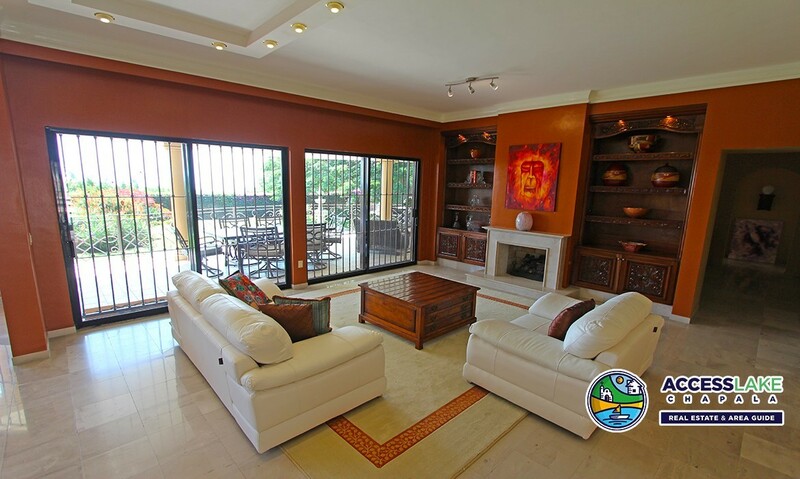 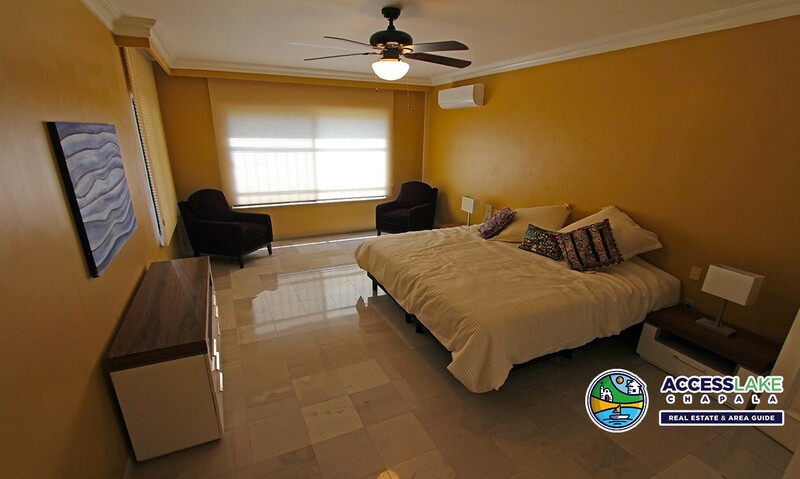 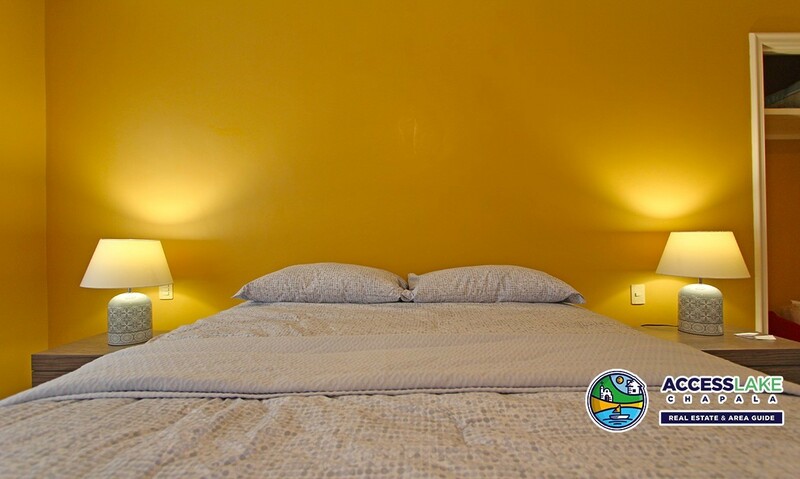 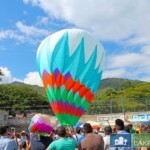 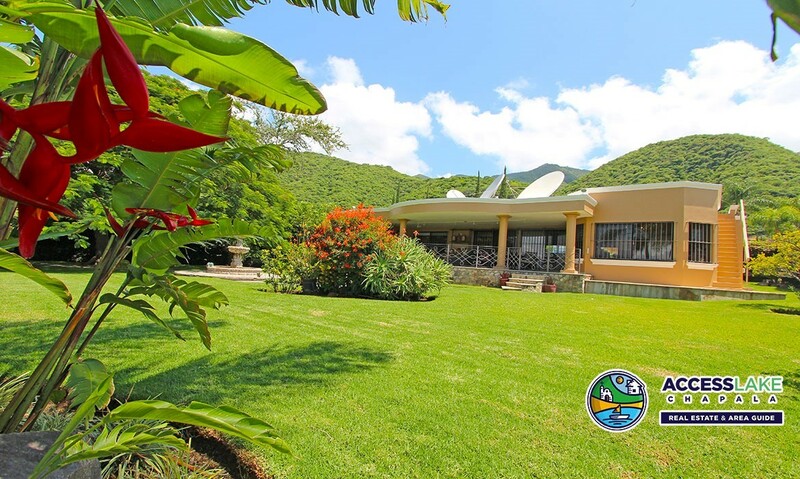 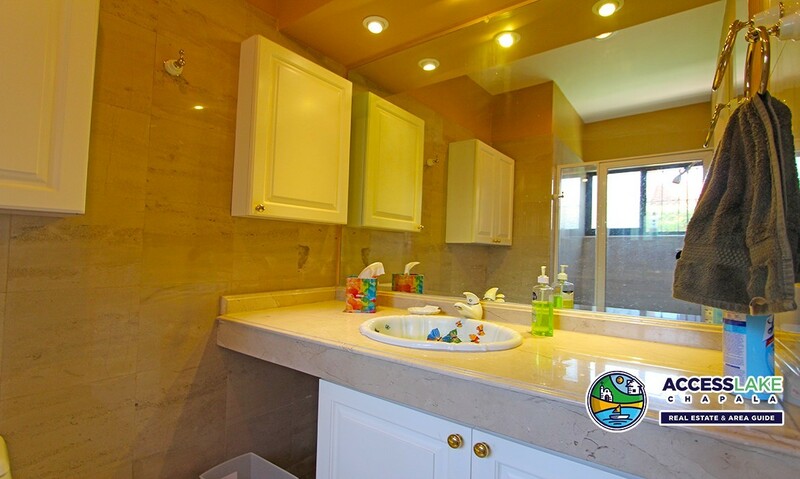 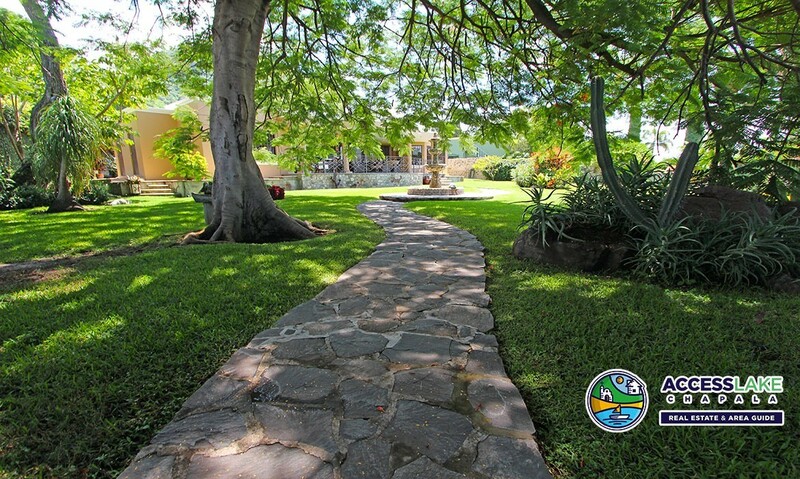 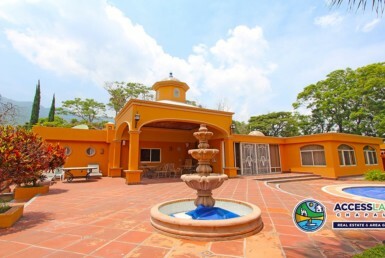 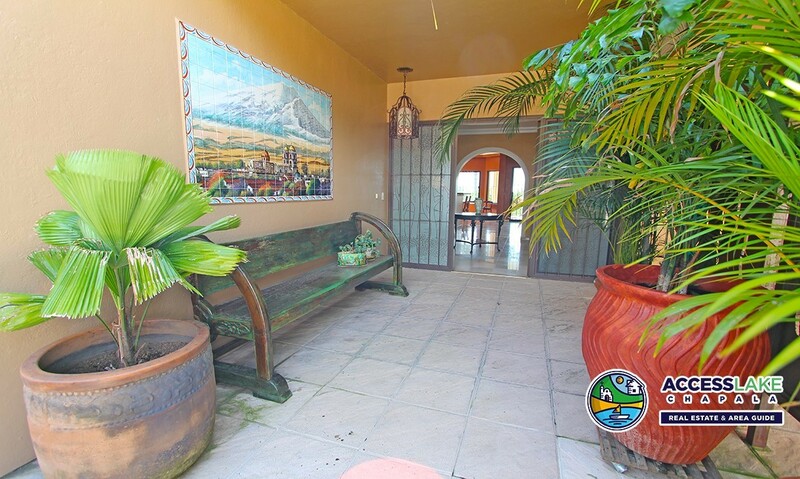 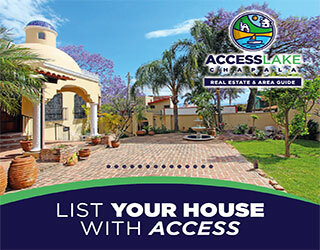 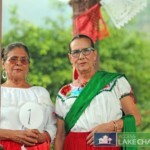 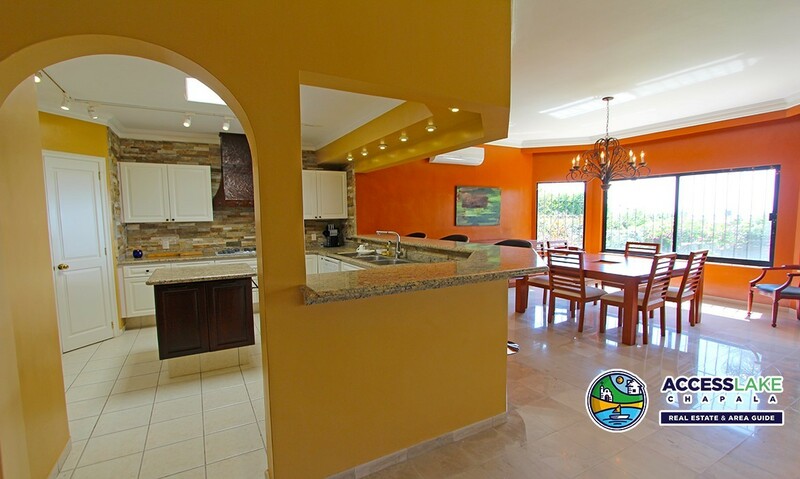 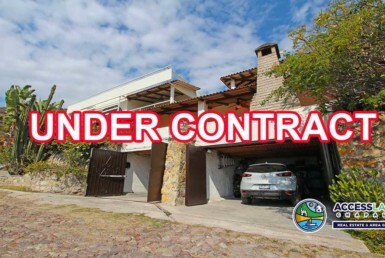 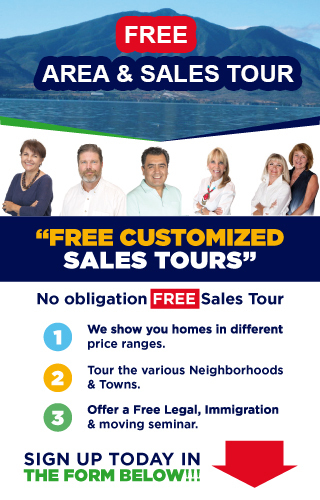 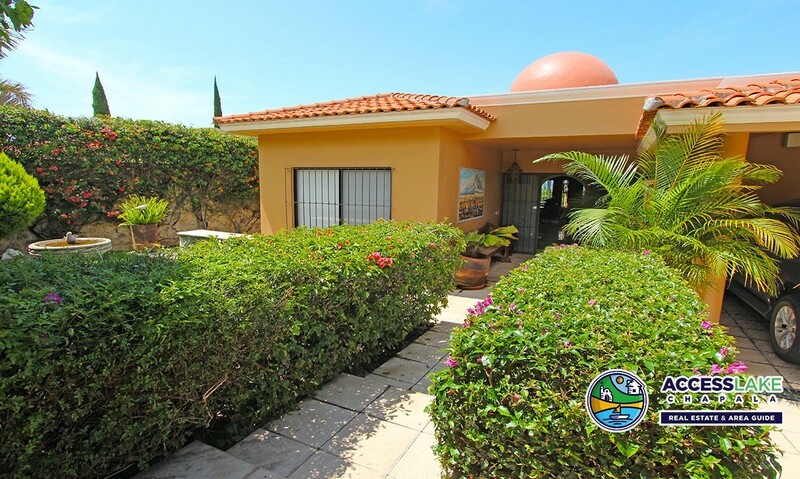 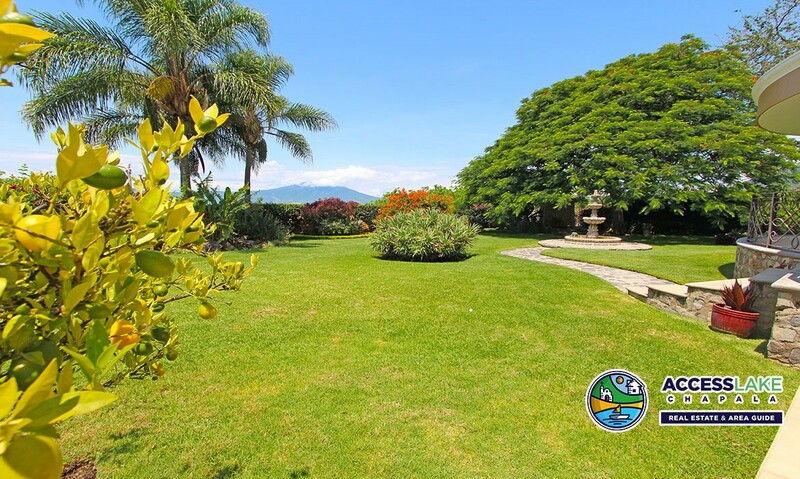 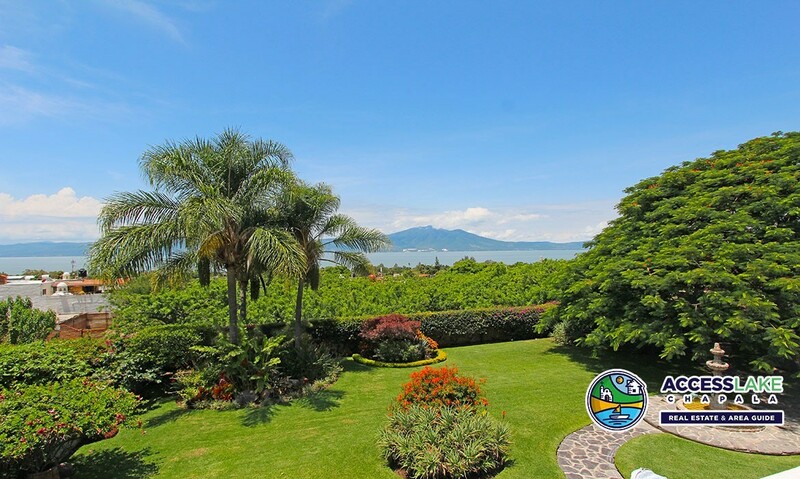 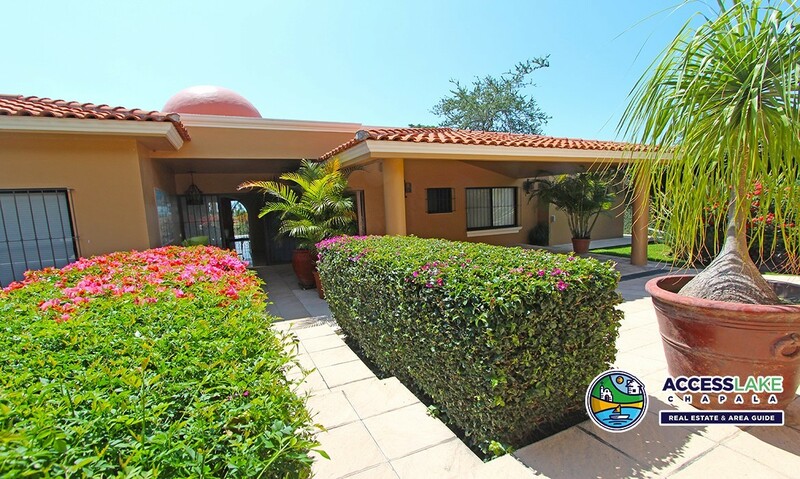 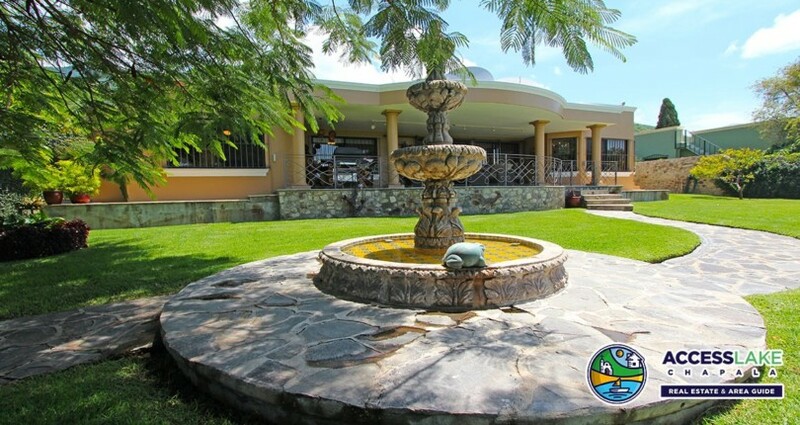 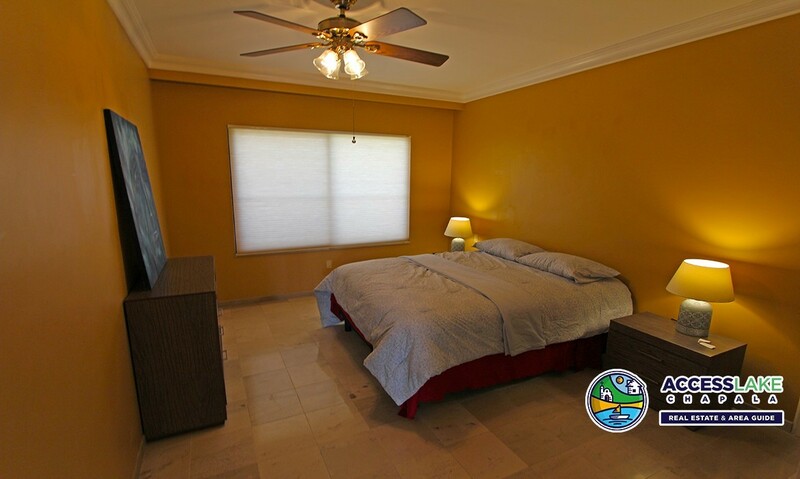 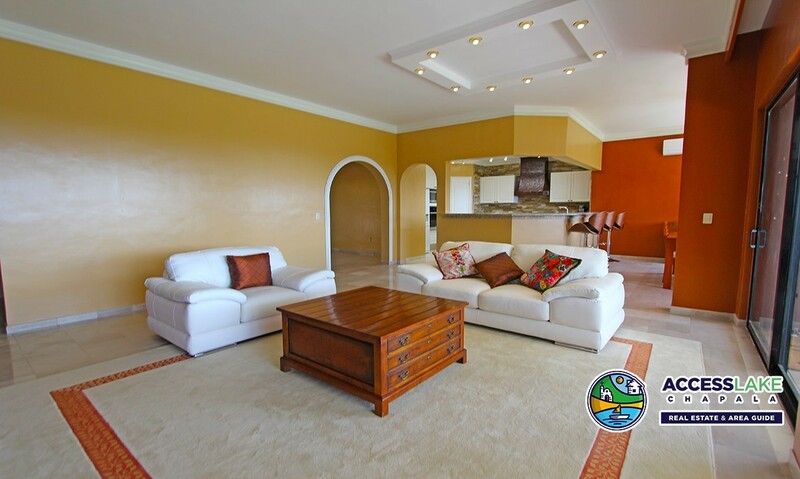 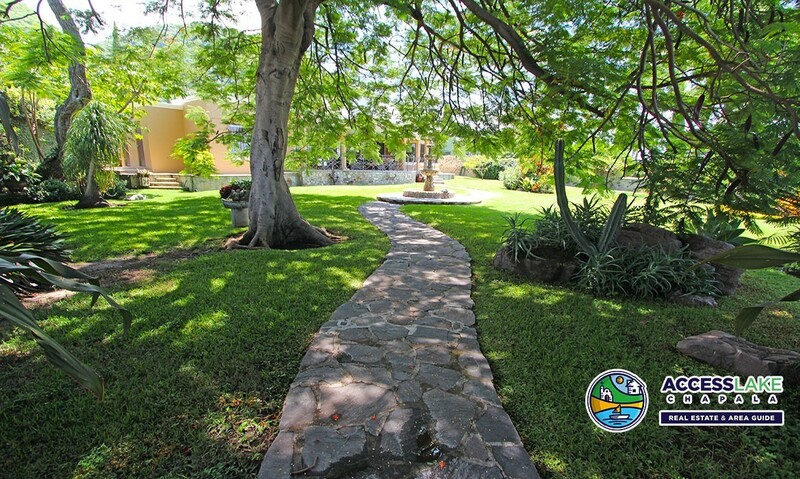 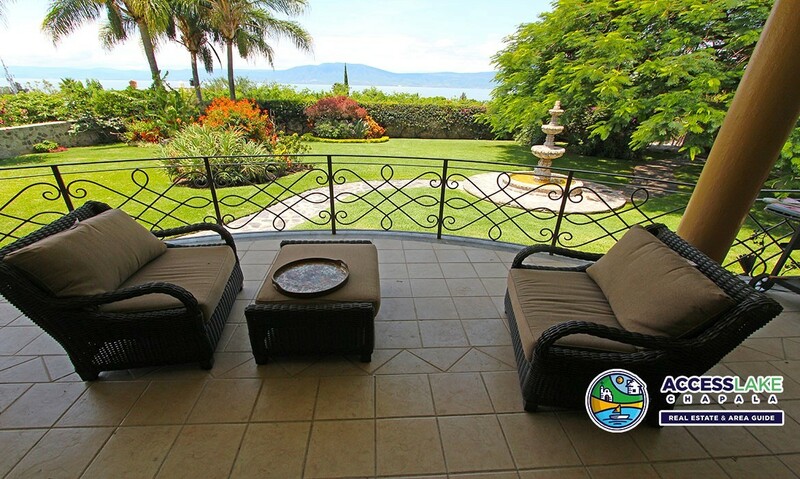 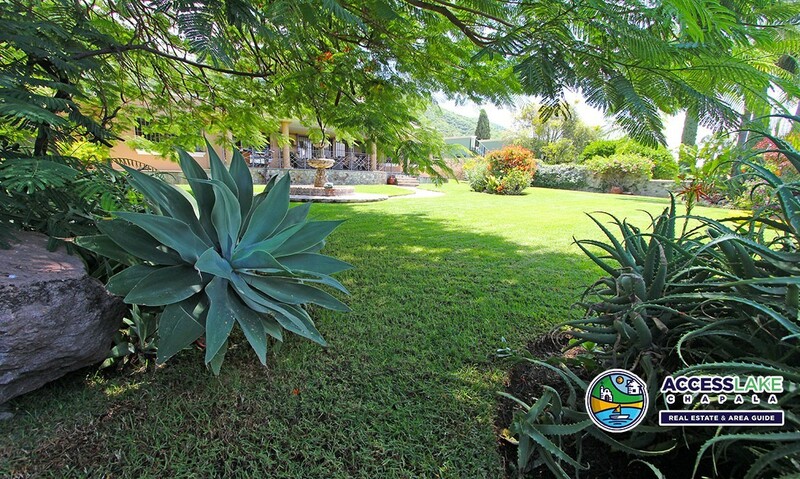 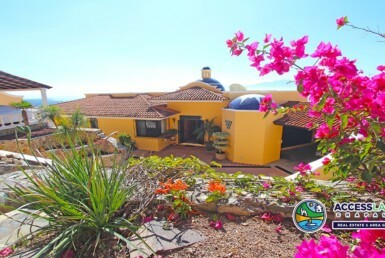 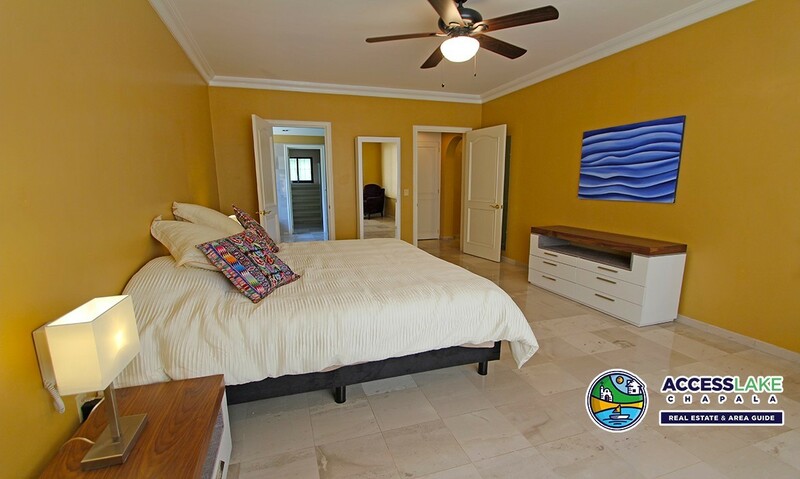 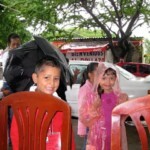 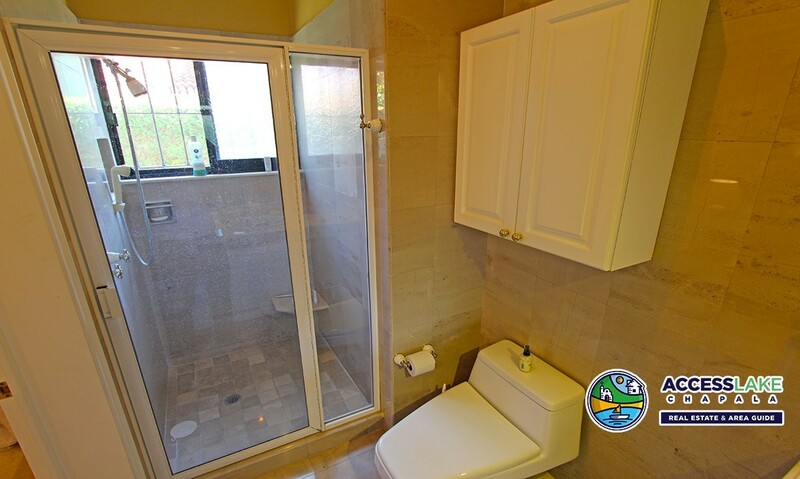 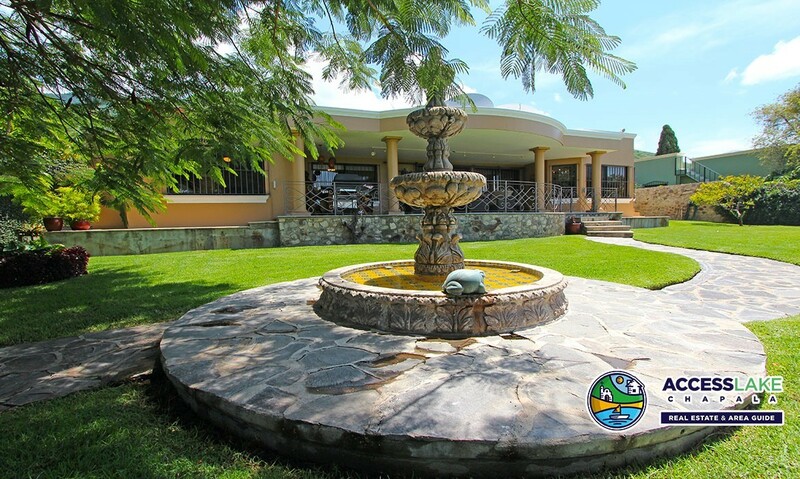 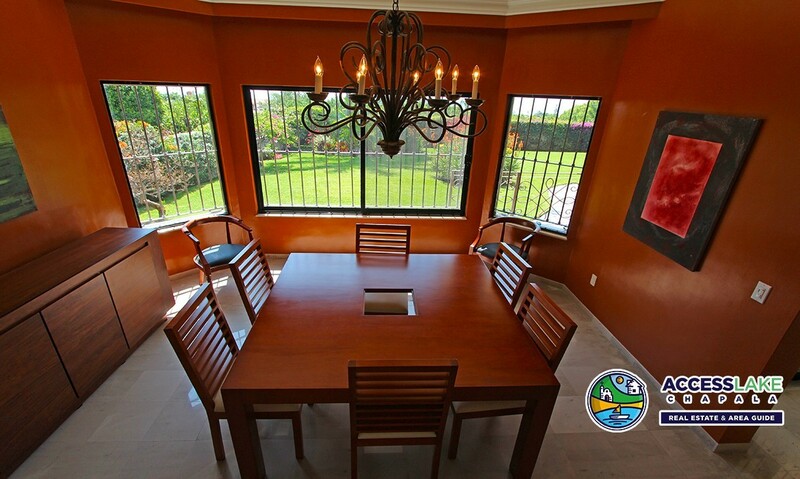 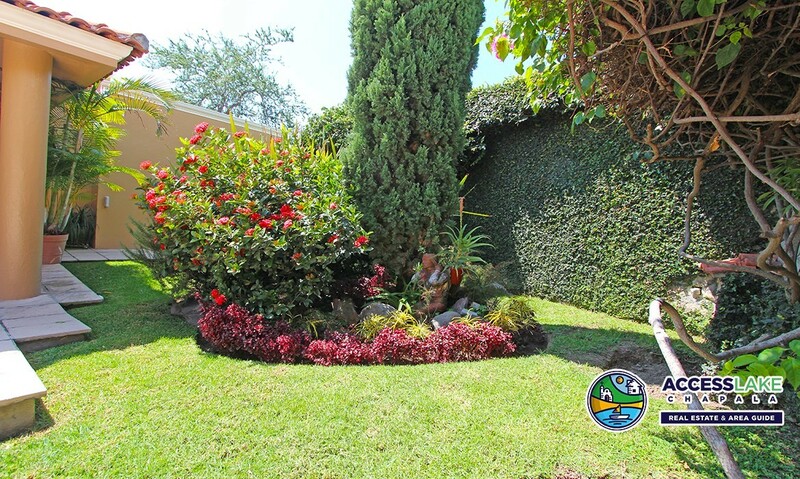 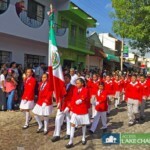 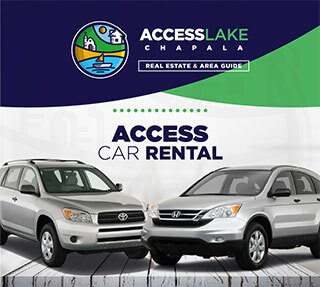 Stepping out onto the large, south-facing covered terrace, you will be awed by glorious vistas of the sweeping gardens and impressive fountain (ample room for a pool), one of the largest Tabachine (flame) trees in the area, and the stunning views of Lake Chapala and Mount Garcia.